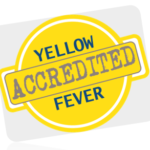 Yellow fever is spread by a species of mosquito common to areas of Africa and South America. Mild cases cause fever, headache, nausea and vomiting. Serious cases may cause fatal heart, liver and kidney conditions. Vaccination is recommended before travelling to ‘risk’ countries and areas.